Join today and get $5 off your first box when you use code "SBMSPRING" at checkout! Prices start at $29. Beauty product lovers rejoice – Beautycon is here with an affordable subscription box full of top-quality beauty and lifestyle products sent to your door once per quarter. That’s right, a Beautycon membership nets you a box chock full of beauty supplies every three months. The best part? It costs only $29.00 per quarter. Or save even more money by paying for a full year up front for $99.00 total. The greatest aspect of the quarterly nature of Beautycon is that each subscription box is handcrafted for the season its sent. That means you’ll receive one box each for spring, summer, fall, and winter. Though the boxes always contain different products, hand selected by a team of beauty and lifestyle experts, you can expect to receive several full-size cosmetic products, ranging from makeup removing towlettes to powder brushes to makeup, lipstick, nail polish, and so much more. Each subscription box highlights supplies from a different beauty curator as well as a wide range of companies and designers, so you can discover the latest and greatest beauty supplies that people love. We’re here to explain exactly what Beautycon is all about, including its pros and cons and who it’s best for, to help you decide if this is the right beauty subscription box for you. What Makes Beautycon Box Unique? There’s a lot of beauty subscription boxes currently on the market – so it takes something special to stand out from the competition. Beautycon manages to do just that with their monthly subscription box. In addition to a commitment to including only the best beauty products available, the company also does this through their commitment to the beauty lifestyle. Not only does Beautycon curate some of the best beauty boxes available, but they also maintain several brick-and-mortar shops around the United States and put on several festivals each year. Beautycon also maintains a serious social media presence that not only markets their service, but also works hard to connect personally and engage with customers and fans. Another factor that makes Beautycon unique is its seasonal approach. Most people don’t go through enough beauty products to warrant a monthly subscription box – and Beautycon knows this. So rather than try and get you to pay for a monthly subscription, Beautycon takes a step back and offers a simple quarterly subscription. Every three months you’ll receive a new box filled with the best beauty products for that particular season (Spring, Summer, Fall, Winter). These boxes are all filled with the best beauty products from the best beauty companies curated by some of the top beauty experts in the world. A nice touch is that many of the products offered are new to the scene or from companies that are just getting their start. This introduces you to products you might otherwise never have heard about. Finally, Beautycon is notable for their great packaging. The handcrafted feel of each subscription box really makes this service feel worth it. It helps create the image that they actually care about each and every one of their subscribers. Beautycon Box only comes 4 times a year, so you don't have to worry about having extra products or spending too much money. It contains full-size products of a wide variety of cosmetics. The intuitive website is very easy to use. Signing up with Beautycon is straightforward. The company has created the process with simplicity in mind. Simply head to their website and visit the Beautycon Shop webpage. Here you’ll be able to peruse a wide range of beauty and lifestyle objects. These have all been professionally curated by the experts at Beautycon. You can either buy these items individually or sign up for a subscription box. The subscription box is delivered right to your doorstep four times a year (once per quarter). Unlike some subscription boxes, there isn’t really a way to tailor your Beautycon box to your individual needs and preferences. Rather, the team curates a similar box for each customer each quarter and then sends whatever is in it to you. This means that you won’t always receive only products you like. Most boxes will undoubtedly contain several great items, but you might find that some of them are duds, at least concerning your own taste in beauty and lifestyle products. One of the top benefits of Beautycon is its affordable pricing scheme. At only $29 per quarter, it’s one of the most affordable beauty subscription boxes around. It’s packed with high quality goods making it an even higher value. To save even more money, you can pay for a full year subscription up front. This annual subscription costs $99.00 per year. Unfortunately, Beautycon doesn’t currently offer free shipping. A shipping charge of $6.99 is tagged onto each box. Also of note is that shipping is exclusive to the United States only. We’d like to see Beautycon expand their shipping to other countries (especially Canada) in the near future as well as figure out a free shipping method that makes sense for them. The public perception of Beautycon and their quarterly subscription boxes is mostly positive. Past and current customers seem impressed at not only the affordable price of the service, but also the quantity and quality of the products included. In fact, it’s easy to find “box breakdowns” online. Rather than provide a review of the products, these blog posts simply list the items received in each box. Taking a look at these before signing up for the service is a great way to gauge what type of items you can expect after you sign up. As you can garner from that list, the items included in each Beautycon box are of remarkable value. The main negative of Beautycon that previous users seem most likely to note is that inability to recommend certain items or types of items. With Beautycon, you’re stuck with what you get. You’re unable to request specific items like most subscription box services allow you to do. Beautycon compares very favorably with other top beauty and lifestyle boxes. In our opinion, it’s one of the subscription boxes that nets you the most bang for your buck – beauty-related or otherwise. 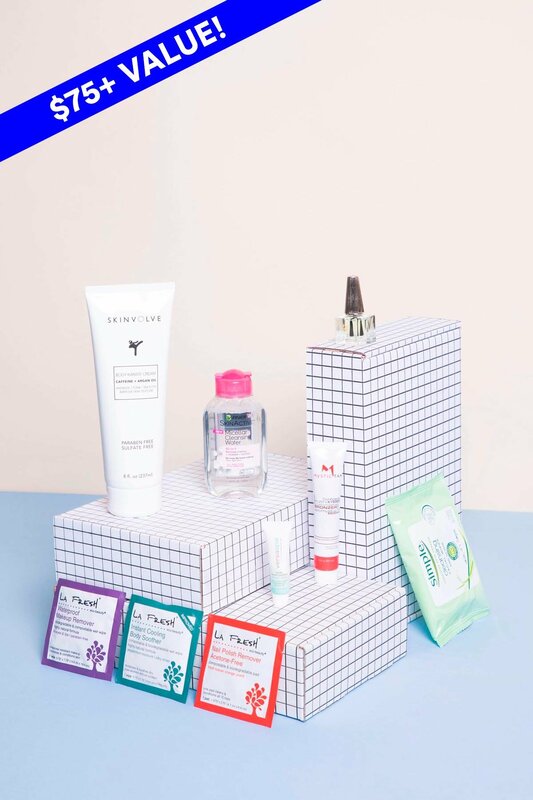 Even though other beauty boxes are cheaper, such as the $10 box from Birchbox, it’s difficult to find a competitor that sends just as many top-quality products as Beautycon. Their boxes are loaded with products – and full size products at that. Some other beauty boxes send sample or miniature size products to justify their low price. Beautycon is also comparable with other top beauty subscription services, including Birchbox, in regards to ease of use and subscription management. Many of your most basic questions about Beautycon can be answered simply by visiting their FAQ page. I want to talk about and share my opinion about the Beautycon Shop. Where can I do this? My coupon code isn't working. What should I do? “Make sure you're using the right code, most of the time people find coupons online which may be expired. If the coupon is not published by Beautycon, it may not be genuine. Beautycon is an awesome choice for just about anyone looking to explore new beauty and lifestyle products on a regular basis. The catch is those that are very picky about the products they use. Because you can’t select the specific products you receive, opening the box is a surprise each month. Those that are picky probably won’t like the surprising nature of this process. Even though you’ll probably like most of the products, there’s a good chance one or two might be duds. However, those that like this element of surprise, that want a professional to curate their items for them, will absolutely love the Beautycon beauty subscription box and all it entails. There isn’t much that Beautycon doesn’t do perfectly right – aside from the rigidity of the products they include in each box. But if you’re willing to take a gamble on the exact products you receive, there’s no denying your $29 per quarter will be well spent. The boxes ship in a timely manner, are filled to the brim with quality products, and will introduce you to new beauty products you might love. Next articleVINEBOX Review – Wine By The Glass… But Is It Any Good? Beauty Heroes Review – Is It Actually What It’s Hyped Up To Be? Deck of Scarlet Review – Is One Palette Really Worth It? I really enjoyed my beautycon box because it had all of the essentials that I didn’t feel comfortable spending a lot of money on. I’m not a big make up girl, but I like having nice products for when I do wear it, so this subscription was just enough that I could spend a little money while treating myself to something every few months.